Instead of using a 12volt to USB power port which sometimes cause noise on lower HF bands I thought I would give this a try. its a UBEC DC-DC coverter which takes a 5.5 to 26volt input and gives us a steady 5volt supply and it supposed to have limited EM interference. 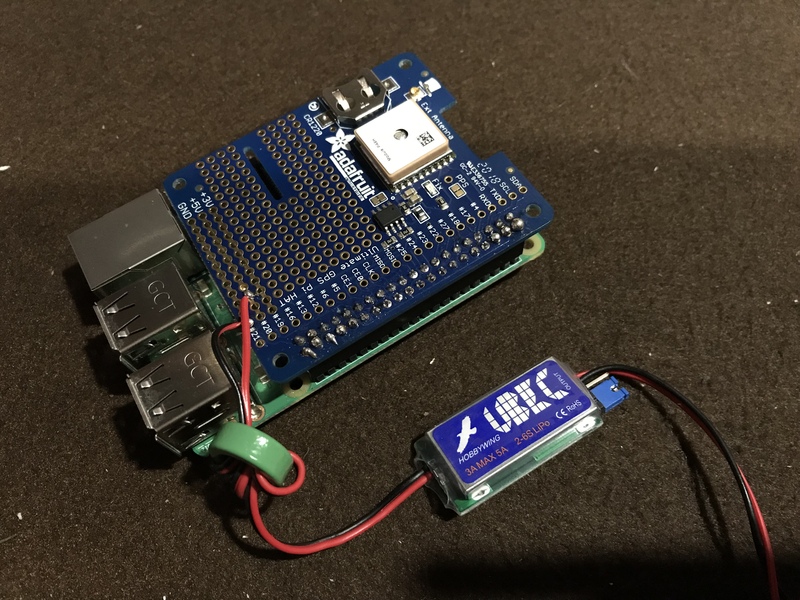 Perfect for powering the Raspberry Pi from the LiFePo4 battery I use with my radio. It can be connected to the GPIO pins of the Pi or in my case I soldered the 5Volt Output directly to the GPS hat which supplies power to the Pi via the GPIO pins.